Hope you like my latest mash. Mixed using Katy Perry’s Peacock instrumental as a base. Thought the Example vocals fit pretty well over the top, and added a little of Toni Basil’s Hey Mickey only cos I thought the Perry drum beat echoed the Hey Mickey tempo and style very closely. Anyway, as always, comments and feedback welcome. Cheers. 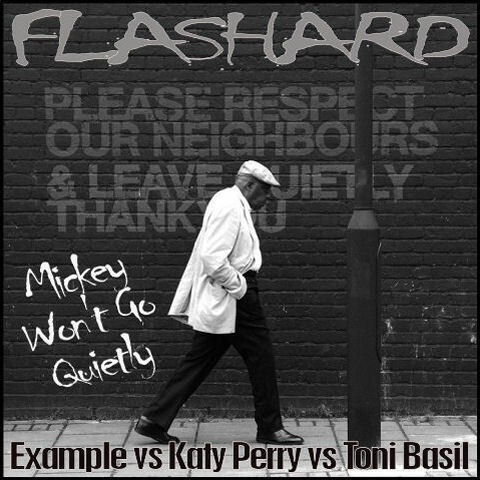 DJ Flashard – Example Vs Katy Perry Vs Toni Basil – Mickey Won’t Go Quietly. Mixed using Example – Won’t Go Quietly (Acapella), Katy Perry – Peacock (Instrumental) and Toni Basil – Hey Mickey (Special Club Mix). Well, this is the second time I’ve had a bash at the Madonna – Like A Virgin acapella. Wouldn’t normally visit the same one twice, but I thought Madge’s vocals fitted really well over the GNR mental. This needed cutting up a little and shortening to fit the acapella, but I hope you like the results! As always, comments and feedback welcome. Thanks. 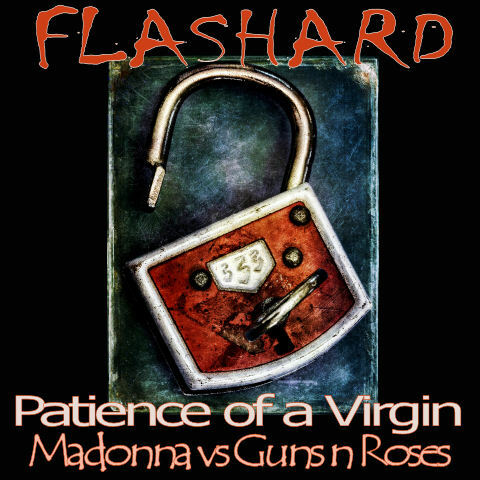 DJ Flashard – Madonna vs Guns n Roses – Patience of a Virgin . Mixed using Madonna – Like A Virgin (Acapella) and Guns N Roses – Patience (Instrumental and Original versions). Happy New Year to one and all. Here’s my first mash-up of 2011, featuring Mary J. Blige’s Work That acapella and Pink’s Most Girls instrumental. This came together quite quickly (as a simple A + B mash), but had to cut up the mental a little to fit Mary’s vocals. Hope you enjoy – comments welcome! Cheers. DJ Flashard – Mary J. Blige Vs Pink – Girls Work That Most. Mixed using Mary J. Blige – Work That (Acapella) and Pink – Most Girls (Instrumental).